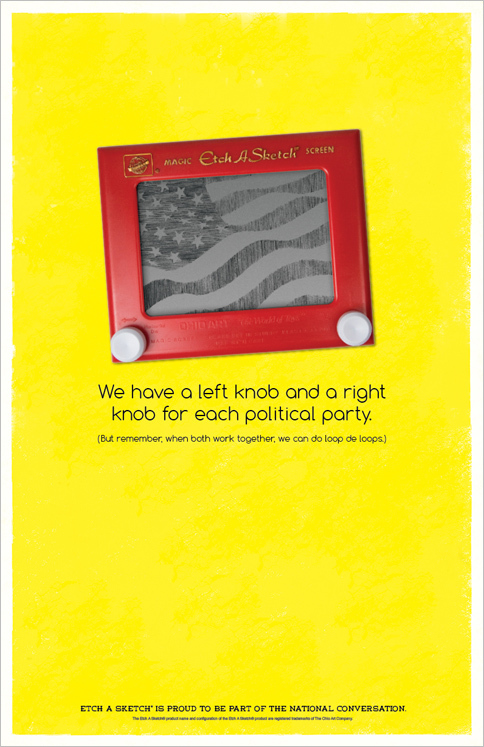 Kudos to the Ohio Art (Etch-A-Sketch) Company for having Team Detroit quickly turn their random political mention into a well-executed ad campaign. Coming soon: blue models for the Dems. Genius. This entry was posted in [commercial art], [gadgets] and tagged ad campaign, business, ohio art. Bookmark the permalink.